"Carlson’s controlled authorial voice is further enlivened by clever wordplay and a Delilloan obsession with etymology and news stories. Carlson deftly steers clear of a clichéd good-versus-evil, David-versus-Goliath plot as he provides a nuanced exploration of the questionable motivations of all parties. The result is a more satisfying, Franzenian interplay of politics and class with hints of the stylistic reportage of Tom Wolfe. For fans of the aforementioned authors as well as later Bret Easton Ellis." is a New York shipping lawyer by trade. Prior to studying law, he edited gun magazines in San Diego; covered sports, religion, and music for Philadelphia newspapers, including the Philadelphia Inquirer; and served as a liaison between city government agencies and immigrant communities in Philadelphia. For a number of years, he advised Iranian shipowners about US sanctions targeting Iran. Edward is currently writing his next novel while working full-time for a Norwegian P&I Club in New York. He lives in Jersey City with his son. Burned out and alienated, Kilgore associate attorney Stephen Harker spends his work days defending insurance companies against spurious litigation commenced by private soldiers who supported US military operations in Iraq and Afghanistan. Harker’s charismatic, womanizing boss assigns him a case defending insurance behemoth WorldScore against a lawsuit led by Major Mike “Bud” Thomas, a veteran, former contract soldier, and divorced father seeking compensation for PTSD and injuries suffered in Afghanistan. Just as Harker turns the firm’s full legal power on the wounded, unstable veteran, he commences an unhealthy relationship with his boss’s estranged bohemian wife, setting himself up for a downward existential spiral that almost destroys Harker, until a brutal act of violence presents him with a final shot at redemption. All the Beautiful People We Once Knew is a riveting insider’s indictment of the world of the corporate elite and the savage determination with which they fight to maintain control. In a society where the very institutions that should support our returning veterans instead view them with suspicion, this stunning debut is a grim reflection on the ever growing rift between the classes. "These eleven authors are making their mark on literature, and deserve a standing ovation for their marvelous first novels." 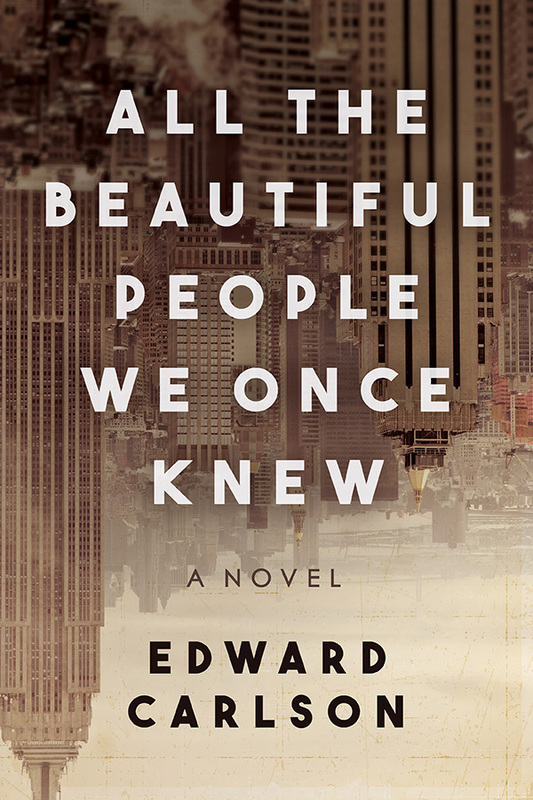 " ‘All The Beautiful People We Once Knew’ Skewers Life In Biglaw....a unique, funny, and challenging novel about life in Biglaw." 9 August, Swift Lounge, 34 E 4th St, New York, NY 10003, 7:00 pm. Head House Books, 7:30 p.m., August 3, 2017, 619 South 2nd Street, Philadelphia, Pa. 19147 followed by drinks at The Plough & The Stars, 123 Chestnut Street (entrance on 2nd St.) Buy a book, get a pint. American Bar Association, Fall 2016: Rule B is Not Dead, Long Live Rule B!